*receive a 5% discount if you book before 15 January! Not every student has the same objectives for studying at a summer school, so our senior programmes are completely tailored to individual student needs. Senior programmes are for 12 – 17 year olds and follow our flagship English + Activity course structure, but with the added bonus of free of charge PLUS options, academic options and choice of excursions. At the time of booking, students simply select their preferred English subject from; Projects and presentations, Academic English and Debate or British Life and Culture. Students then select their plus element from; Activities, Tennis, Sciences, Leadership and Drama. Finally, you pick your preferred optional excursion: In London, Outside of London. The course fee includes: English tuition, textbooks & stationery, school accommodation, academic report, social programme, sports, specialist tuition, meals, excursions, laundry, insurance, course certificate (at most centres), course photograph and airport transfers (if applicable). *students on Harrow Seniors courses will be split in to two ages groups (12-14 or 15-17) for English language lessons and some onsite activities. Our flagship course and the most popular courses we offer. English + Activity is carefully designed for students who want to improve their English and experience a really interesting combination of activities and excursions, while making new friends from around the world. Must have an English level of Intermediate or above. Confident, ethical and thinking leaders are vitally important in the challenging world we live in. 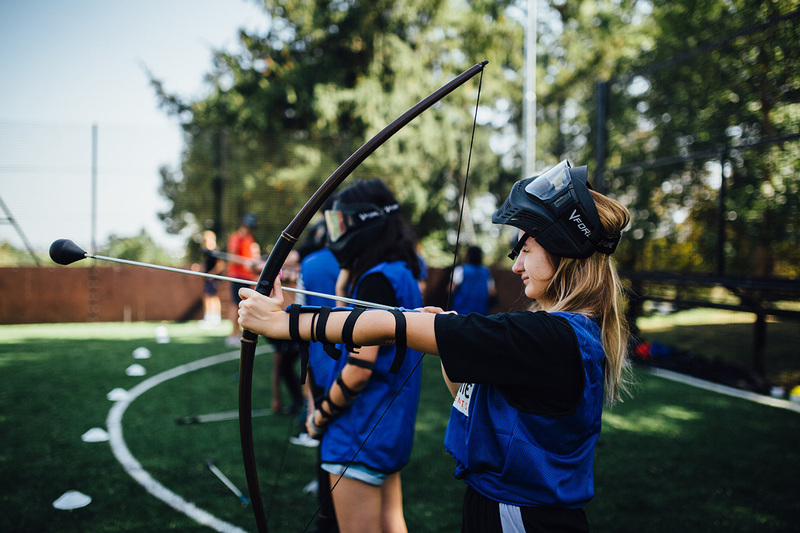 Harrow School’s ‘Leadership’ plus option will give students a wonderful opportunity to learn about the ‘art of leadership’, to help prepare them for the exciting demands in the future. Have you ever wanted to tread the boards where Benedict Cumberbatch learnt his craft, or see the real life Harry Potter classroom located at Harrow School? 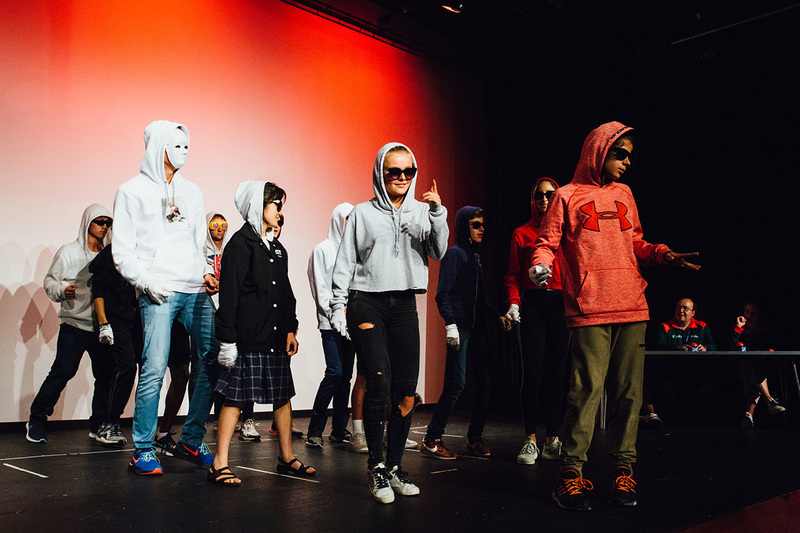 Selecting drama as a plus option gives students 15 hours specialist drama tuition improving student’s confidence when practicing their English. Students will improve and learn skills that are at the heart of communication, conversation, expression and storytelling. Students have drama lessons in our famous Ryan theatre, getting to grips with the building blocks of an actor’s work, and a taster of training at a drama school. The course begins with examination of the essential areas of voice, physicality and acting, mixing practical technique with creative work, and goes on to apply these techniques to both scripted and improvised performance. The students then collaborate with the tutor, and each other, to create a performance using their new techniques. This show allows an invited audience insight into the group’s two weeks of work, and allow students the vital experience of exercising their newly developed muscles in a live performance environment. The course is designed to be accessible yet challenging, and will be Serious Fun! These lessons are perfect for students who want to study at English-medium schools or universities. The aim is for students to develop their ability to understand academic language and express themselves using this language. We focus on how to form and defend your opinions and how to analyse and question the opinion of others. The skills and language covered will be helpful to students who are taking a test for academic purposes such as IELTS or school or university entrance exams. Due to the language content students need to have an intermediate level of English in order to study on this course. In these lessons students work together to produce a project that is a reminder of their time at Harrow Summer School. They show their completed project to other groups in a presentation session at the end of their course and a winning project is selected for a prize. Projects are student-led, with each project group selecting a manager, deciding on team responsibilities and planning their project timeline. Our teachers are there to help with language and ensure all students are involved and actively learning throughout their project lessons. Project work helps students develop their communication and language fluency as well as promoting teamwork, time management and presentation. Previous projects winners have included short films, vlogs, drama performances and photo stories. The important thing is for students to enjoy what they are doing, learn and practise new language and to produce something they are proud of.